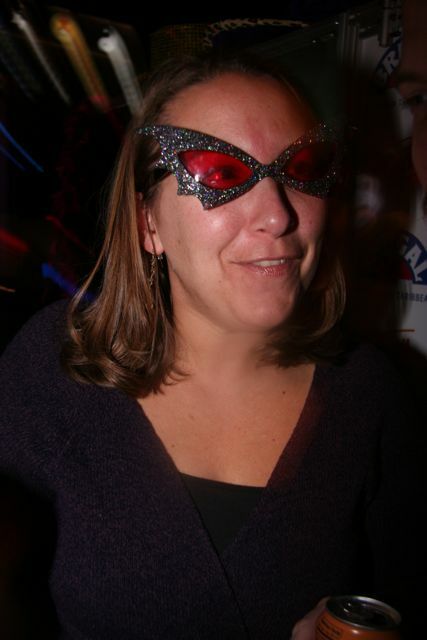 You are currently browsing the category archive for the ‘Boston Bars’ category. This past October 4-6, 2012, the Boston Cocktail Summit celebrated the outstanding cocktail scene here. I’ve already posted about Manhattans with Brother Cleve but there were lots of other sessions, cocktails and tidbits that are worth sharing, almost too many. Here’s a round-up of some highlights. 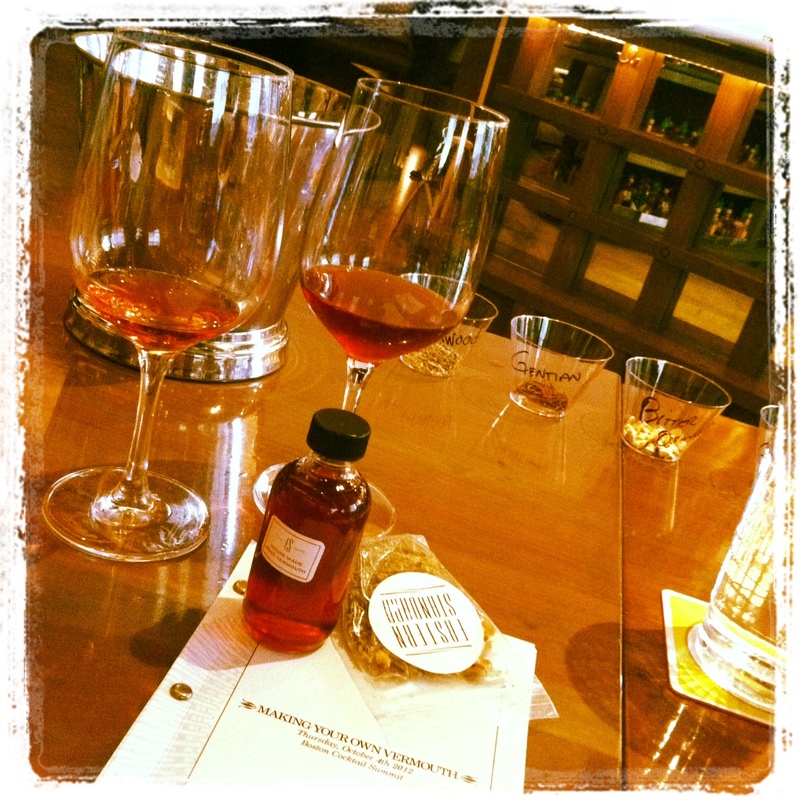 Led by Jackson Cannon, the folks at Eastern Standard, Hawthorne and Island Creek shared the secrets of their delicious Rosé vermouth and taught me how to do it myself. The session started with comparative tasting: Martini & Rossi’s rosé vermouth versus ES’s version. There is no comparison—the Boston-made vermouth is rich, sweet, herbally and bitter all at the same time. It tastes like a strawberry jam full of herbs, and I totally mean that in a good way. Wow. The seminar continued with Kevin Martin demonstrating how to make this delicious vermouth (I think I might be over my fear of making caramel), while we sipped cocktails and heard more about the process and ingredient variations. I went home with their vermouth recipes and a spice packet of ES’s own blend, so I can now make my own rosé vermouth (I’ll report back on how things go when I try it out). Of the six whiskeys I tasted at a Whiskey and the Bar seminar at Citizen, Parker’s Heritage 6th edition Bourbon was my favorite. I might even go as far as to say that it was the most delicious thing I drank over the course of 3 days at the Cocktail Summit. This is Heaven Hill Distilleries 6th edition in their Heritage Collection series. This annual series of rare, aged American Whiskeys honors 6th generation Master Distiller Parker Beam. 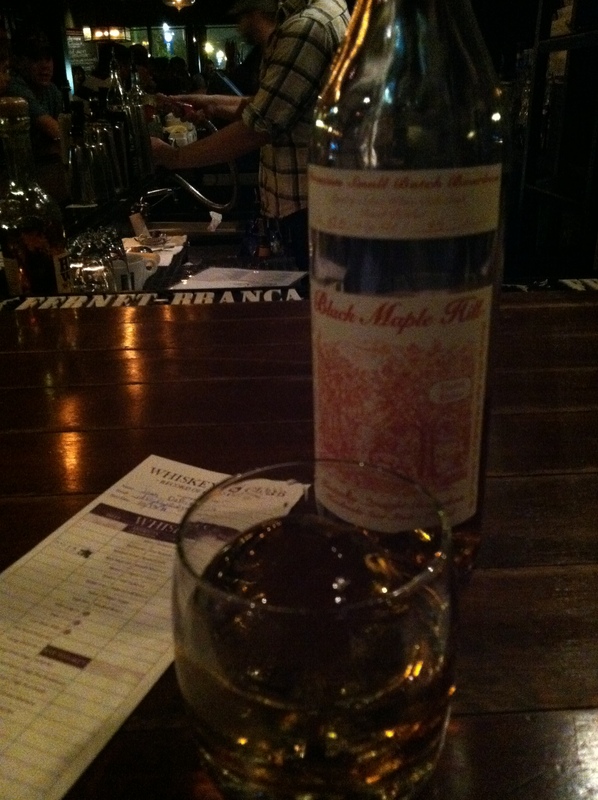 My mouth was just giddy with the thick caramelly flavor that mingles so nicely with the bold spice of the rye. And at just under 132 proof this bourbon packs a punch. What we “taste” isn’t always just what we taste. In Science of Taste seminar, neuroscientist Don Katz (Brandeis) explained that smell, perception, genetics and our brain greatly affect taste. The focus of the seminar was the competing tastes of sweet and bitter. Sweet = good. Bitter = bad. We have our caveman ancestors to thank for this unfair association of these two types of flavors. Biologically-speaking, bitter is the taste of poison; it’s the sign of non-healthy food. Sweet, on the other hand, is a sign that a food is ripe, fresh and full of calories. When life was all about survival, you definitely wanted the sweet foods more than the bitter ones. One very interesting bit to add to this battle of tastes, is that if you add a little sweet to your bitter, the bitter becomes more desirable, we longer biologically perceive it as bad. Our drink of choice to demonstrate this effect was the Problem-Solver which combined rye, Cheering Herring, Benedictine and a rinse of Fernet Branca. Ladies Choice: Women Behind the Bar—The Boston and New York chapters of LUPEC united to take us on a journey through cocktail, and in turn American, history g with a focus on the female gender. One of the many interesting women I learned about was Ada Coleman. She was head bartender at the famous American Bar at the Savoy Hotel in London, when American Harry Craddock arrived there in the 1920s (he was escaping Prohibition). He apprenticed under Coleman, who invented many of the classic recipes Craddock would feature in his The Savoy Cocktail Book. Amongst the many drinks Coleman created was the Hanky Panky. 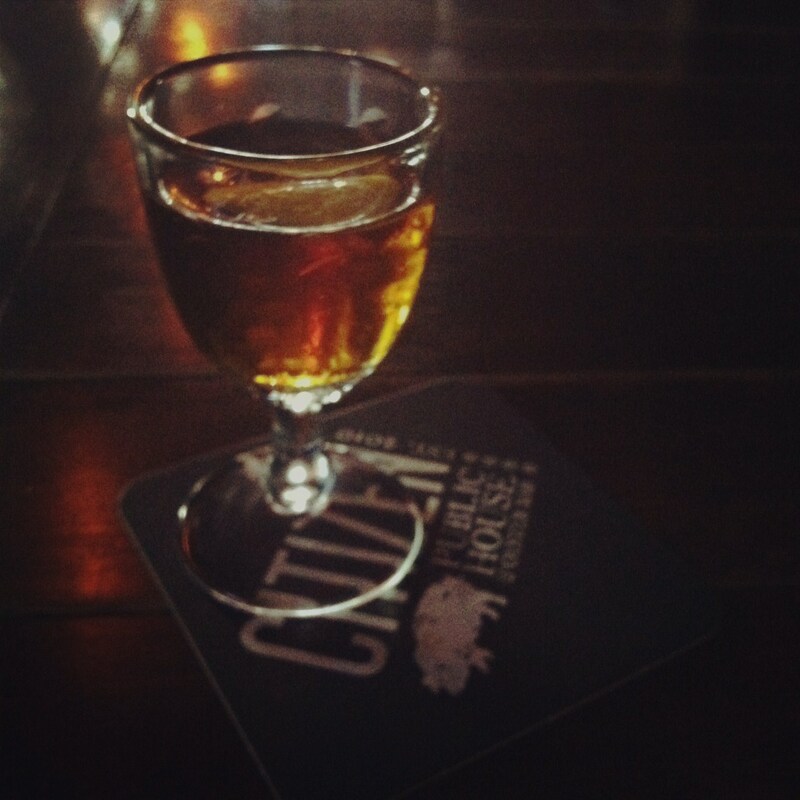 We sipped one made by Boston’s own Hanky Panky, aka Misty Kalkofen; that’s equal parts gin and sweet vermouth with a dash of Fernet. To Boston’s first Cocktail Summit. Cheers! Four-Fifteen— Who doesn’t need a cocktail to get through taxes? As I filled out my tax forms a few weeks ago, I appropriately sipped the Four-fifteen, a delicious creation by Joy Richard (Franklin Restaurant Group). Initially inspired by the Income Tax Cocktail (gin, dry vermouth, sweet vermouth, bitters), this cocktail goes the bitter route, just the way I like it. 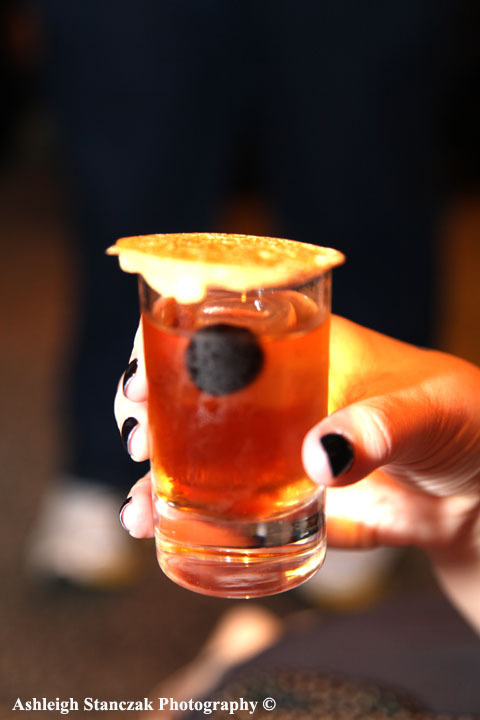 Boston’s Best Bartender–Boston is full of fantastic bartenders. Can there really be one best? In a totally unscientific way, the Improper Bostonian tried to answer that question. Three of the city’s veteran, “hall of famers” if you will– John Gertsen (Drink), Joy Richard (Franklin Restaurant Group) and Josh Childs (Silvertone Bar & Grill, Parlor Sports and Trina’s Starlite Lounge)– battled against three “rising stars”–Nicole Lebedevitch (Hawthorne), Sam Treadway (Backbar) and Kelly Unda (Harvest and Citizen). After 3 rounds, Sam Treadway was victorious (of course he was!). Read the full, drink-by-drink account of the competition here. Le Mixeur Sharky–A few weeks ago, I hung out in the packed Stone Room at Hawthorne with bartenders and fellow cocktail enthusiasts sipping J.D. 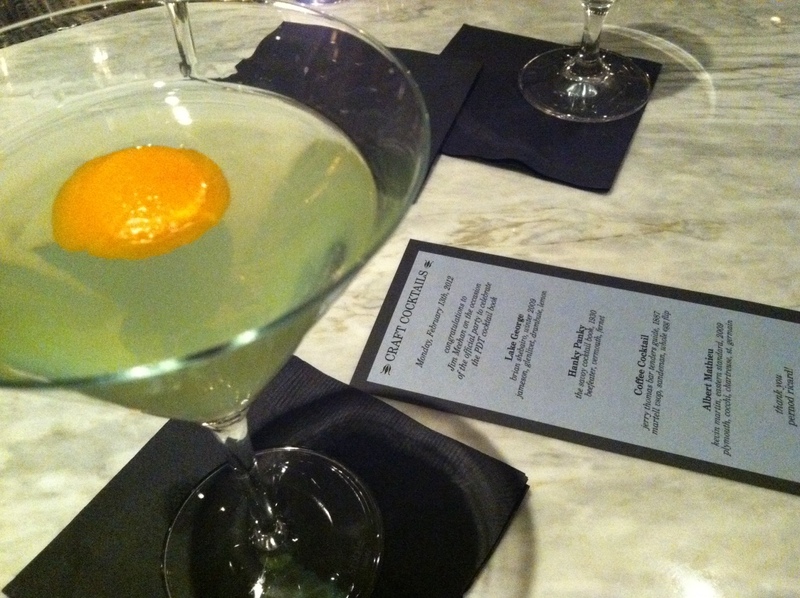 Salinger-inspired cocktails for a good cause. Misty Kalkofen (Brick and Mortar) organized and hosted Le Mixeur Sharky, created by Seattle cocktail writer Ted Munant as a way to raise money for autism advocacy and education; funds raised (close to $1800 that will be matched by a challenge grant) will benefit the Massachusetts Advocates for Children. Nine Boston bartenders were invited to create a cocktail by J.D. Salinger’s Nine Stories. The following fabulous bartenders lent their creativity and talent to mix up numerous cocktails: Sabrina Kershaw (Citizen), Tyler Wang (No.9 Park), John Mayer (Local 149), Ted Kilpatrick (No. 9 Park), Rob Kramer (Chez Henri), Scott Holliday (Rendezvous), Sean Frederick (Citizen), Ted Gallagher (Craigie on Main), John Gertsen (Drink). Here’s one cocktail beauty shot of John Gertsen’s Teddy (and yes, that’s my hand). Check out my friend Ashleigh Stanczak’s photo essay from the evening. It is clear from the moment you meet Will and Dave Willis that they are passionate about what they do. What they do is make handcrafted, small batch spirits that draw on local distilling tradition while also experimenting with flavor profiles and technique. 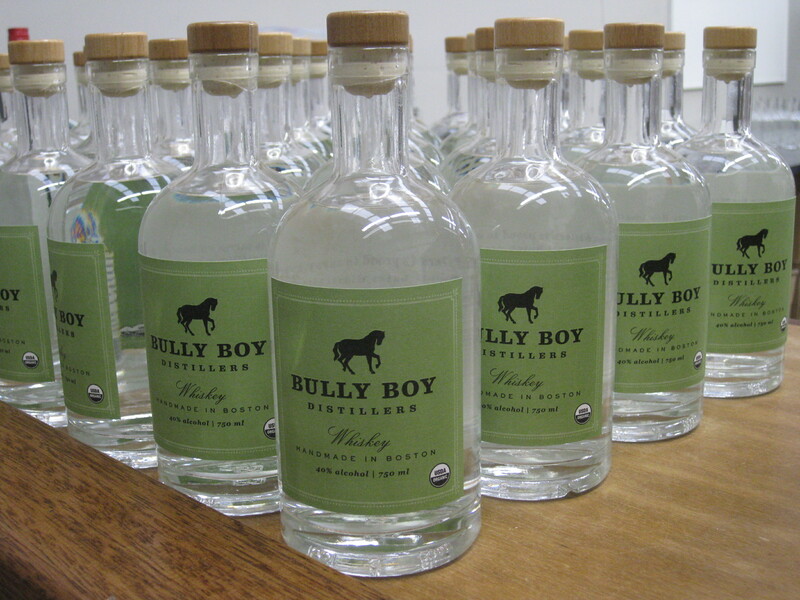 “We are trying to push the boundaries of what the spirits can do.” This adventuresome spirit Dave expresses is what led these two brothers to turn a decade-long hobby of stove-top distilling into a commercial venture with the launch of Bully Boy Distillers in June 2011. 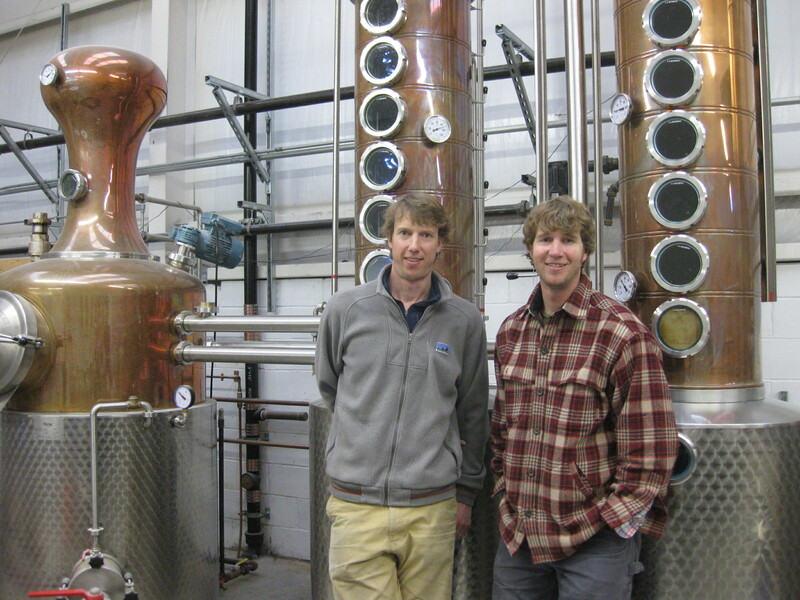 Their passion for spirits and local production is rooted in their family heritage. They grew on a 4th-generation working farm in Sherborn, Massachusetts. In the basement of the farm house there is a bank vault with pre-prohibition era bottles of liquor (I’m hoping for a field trip some day). Even the name of their company has a family connection. “Bully” was a term popularized by Teddy Roosevelt, meaning superb or excellent; their great-grandfather was roommates with Roosevelt at Harvard and later named a beloved family horse Bully Boy after his friend. In their warehouse space in Boston, Will and Dave carry on a tradition of excellence by using local and organic ingredients whenever possible and lovingly caring for each step of the production from developing a unique mash bill for their whiskey to hand-sealing bottles. 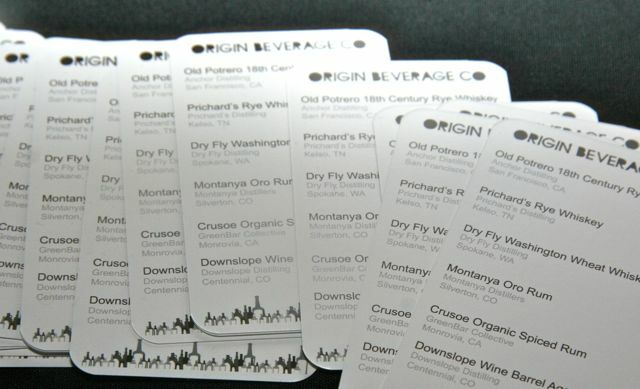 The end result is high quality products that are tasty to sip on their own, but also versatile for use in cocktails. It is important to Will and Dave to be in Boston and have the support of the local cocktail community. One of the things they pride themselves on is being an urban distillery. Will explains, “We really wanted to be a brand that was associated with where we live. Each bottle is marked ‘handmade in Boston.’” Their white whiskey, white rum and vodka are indeed quickly becoming quite popular with the city’s bartenders who appreciate the availability of quality local products. To that point, Beau Sturm of Trina’s Starlite Lounge says, “Bully Boy is a great local product made by fantastic people who pour their heart into it.” His First Full of Dollars (recipe below) combines the white whiskey with the mildly bitter Amaro Montenegro resulting in a stiff, yet light cocktail. Over at Eastern Standard and Island Creek Oyster Bar you can also find a few cocktails featuring Bully Boy. Bob McCoy particularly likes their rum, “I think the rum is a standout. It’s both unique and assertive while still being accessible. It has the kind of flavor impact that can stand in for traditional dark rum-based cocktails but is also killer in a white rum classic like the Daiquiri.” And he does just that in his daiquiri variation, The Republic (recipe below). So what’s next for Bully Boy? When I visited with Will and Dave I spied barrels filled with whiskey and rum that are their soon-to-be released new products—Boston Rum and an aged whiskey. I can’t wait. 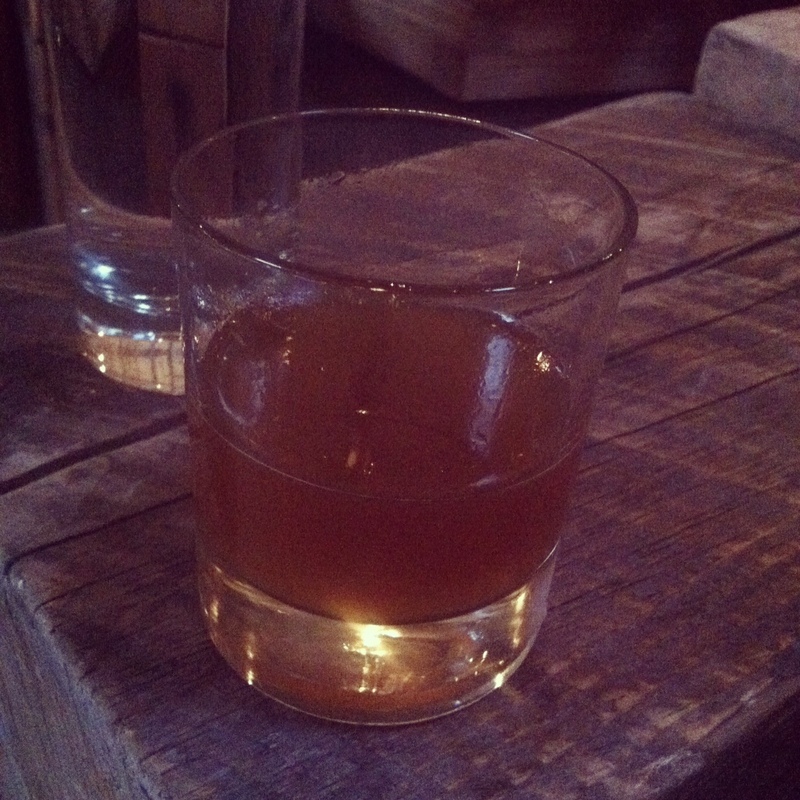 To local boys making delicious booze—Cheers! Mount in a mixing glass, add ice, and shake. Strain into a cocktail glass and garnish with freshly grated nutmeg. Toast the spices in a pan over medium-high heat until very aromatic, tossing frequently so not to burn. Add the water, sugar, and ginger. Bring to just under a boil, stirring frequently, then reduce and let simmer for 12-15 minutes. Take off the heat and let cool. Pour contents into a container, cover and store in the refrigerator overnight to infuse. Finely strain into a container, cover, and store in the refrigerator. Jim Meehan of PDT, the popular speakeasy bar in NYC (yes, its the bar you enter through a phone booth in a hot dog stand) came to Boston a couple weeks ago to celebrate his new book, The PDT Cocktail Book, with a party at Hawthorne. 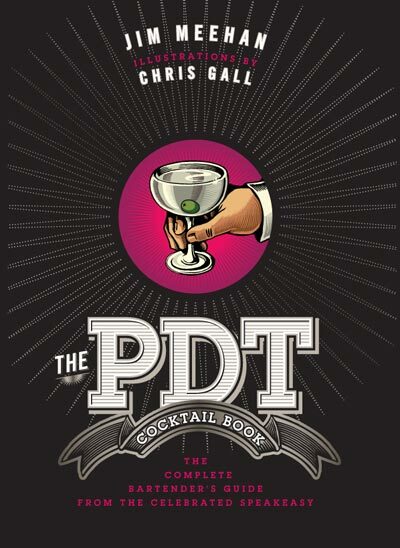 The book is a great addition to any bartender’s or cocktail enthusiast’s bookshelf. It begins with a thorough run-down of tools, glassware, and technique, and then continues with recipe after delicious recipe. In addition to all the drink goodness to read about, the pages are adorned with playful illustrations by Chris Gall. The cocktail menu for the evening’s festivities featured drinks from the book. My favorite of the evening was Albert Mathieu, created by Boston’s own Kevin Martin of Eastern Standard, who did a guest stint at PDT in 2009. Named for the French engineer who proposed a tunnel under the English Channel that eventually led to the Chunnel that now connects England and France, this cocktail brings together spirits of the two countries. Stir with ice and strain into coupe. Garnish with an orange twist. Soon Union Square will offer imbibers a new bar to sidle up to. The folks behind the Journeyman are creating a cocktail bar behind their establishment appropriately called backbar. I recently sat down with bar manager (and my favorite bartender), Sam Treadway to chat about his plans for the bar. When Sam left Drink a little over a year ago many Boston imbibers were quite disappointed. But after a year at the Waikiki Edition in Hawaii, we happily welcome him back and are excited about what he’s creating at backbar. As with many of his previous jobs, Sam credits this current opportunity in part to his friend Ben Sandroff (his talent obviously had something to do with it as well) who connected him with the folks at Journeyman. While paradise was a nice place to live, the opportunity to open a brand new bar, as well as his familial and friend connections brought him back east. This is Treadway’s first foray into starting a bar from the ground up. While some aspects like formulating his cocktail menu, visiting antique shops for décor, and picking out glassware engage his creativity, others, like design of the bar space, take him outside his comfort zone. But both seem to be a welcome challenge for the 27 year old who is excited about the opportunity to not only create yummy cocktails, but also be the vision behind the place. And what about the drinks? Since his days pouring draughts in Minnesota and that first unappealing Sazerac, Sam has come to appreciate both the simplicity and complexity of mixing drinks. To that end, the menu will organized into four sections—classics (his opportunity to “recreate history in a glass”), new creations (a place to experiment with ingredients and techniques), specials/seasonal (following suit with the Journeyman’s approach in the kitchen) and “the tradesman.” This final section will feature what bartenders like to drink when they are out. To this end, I learned that Sam prefers beer (something light and drinkable like Blue Moon), a gin & tonic, or straight whiskey. Since I have enjoyed countless cocktails made by Treadway, I have no doubt the menu will be fantastic. I have it on good authority that backbar will open very, very soon. See you there. Cheers! 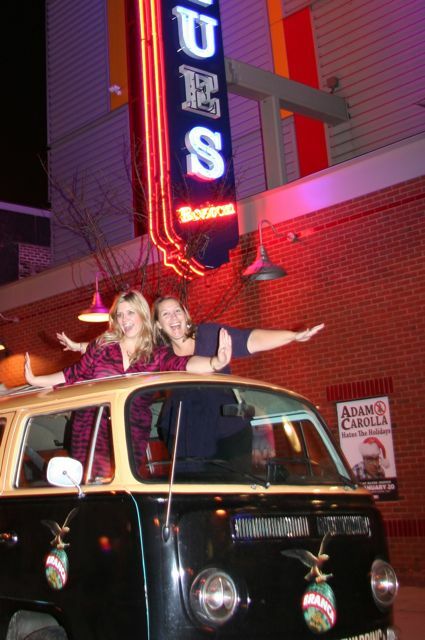 Last Sunday night the Greater Boston Beverage Society transformed the House of Blues with spirits of all kinds and lots of festive activities (Who doesn’t love an old school photo booth?) for the fabulously fun Shakin’ It Up. Formed earlier this fall by Alexei Beratis from Of the Spirits Beverage Consulting and Jamie Walsh of Stoddards, the Greater Boston Beverage Society is a not-for-profit organization that aims to preserve and promote Boston’s cocktail culture and spirits history while also giving back to local and national charities. Shakin’ It Up was a precursor to next October’s Boston Cocktail Summit. Its about time we had our own cocktail celebration! There were so many spirits to taste and some many cocktails to enjoy, I can’t possibly share them all with you, so here are a few highlights seen through photographs taken by my friend Ashleigh Stanczak. Any event with a Fernet Branca van is guaranteed to be a good time. We couldn’t resist. My favorite drinks of the night were at the Four Roses bar, and its not just because the space was staffed by the double charm of John of Citizen Public House and Noon of Umami. The warm Autumn Breeze punch made with squash infused bourbon that Noon was serving was fantastic. Imagine a boozy mouthful of perfect fall flavors. It was so good I went back for a second taste. Pour 4 bottles of Yellow Label Four Roses Bourbon over while still warm. Let cool. Keep the squash infused for 2 days. After 2 days, strain out the solid from the infusion. Serve the infused bourbon slightly warmed up with a few drops of Chocolate bitters. De-licious! The most unique thing I tasted was the Old Potrero 18th century style Rye Whiskey served by the Origin Beverage Company. Produced by AnchorSteam in San Francisco, this 100% rye mash is distilled in a small copper pot stilland then aged in handmade oak barrels. If you want to know what our whiskey drinking predecessors were drinking, try this stuff. Stay tuned for more info about Greater Boston Beverage Societies activities. See you at October’s Cocktail Summit. Cheers! For Boston imbibers, making a decision about what bar to go to on any given evening just got a little bit easier. If you are like me, bartenders are a very important part of your drinking experience. You want to know if someone will be able to make your favorite drink. And perhaps even more intriguing for me is whether or not he/she will suggest something new based on my preferences that will soon become a new favorite. Well now, there’s a way to know when your favorite bartender is “on the bar” with a new free app (for iPhone and Android) created by TJ Connelly and Ian Stanczyk. The app is called On the Bar (www.getonthebar.com). The concept is simple: Bartenders sign up and when they are on shift, they “check in.” Users (like me and you) can then “follow” our favorite bartenders to get notification when they are working; you can also scan the list of bartenders and bars at any time to check out what’s happening. Be sure to check out the descriptions of the bars–you just may notice a familiar name amongst the authors. So, if you’re a bartender in Boston please sign up so your fans can follow you. And if you’re a cocktail enthusiast, get the app and start showing your favorite bartenders some love. A recent piece in the Globe introduced the app to the city, so get on board. Cheers! Old school tunes like Rob Bass and DJ E-Z Rock’s Joy and Pain were playing. The crowd was cheering while sipping almost ten different punches and nibbling on food from Toro, Coppa, Myers+Chang, Citizen Public House, Trina’s Starlite Lounge and Eastern Standard. Sounds like a fun event, right? 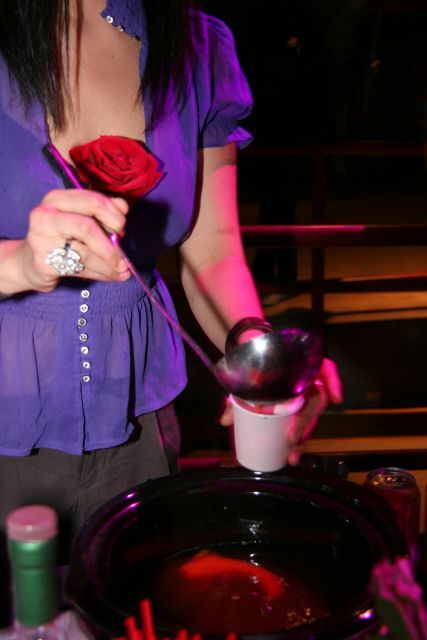 And I didn’t even mention that there were eight of Boston’s fabulous female bartenders shaking and stirring up a storm. This was the scene last Monday as a whole bunch of us cocktail enthusiasts and industry folk came together to cheer on Boston’s best female bartenders and to raise money for breast cancer research. Speed Rack, founded by LUPEC New York’s Ivy Mix and Lynnette Marrero, is a speed-bartending competition with an eye toward precise cocktails. Each round four judges choose a cocktail for a pair of competitors to make. Time is only one factor. Upon tasting the drinks, a judge can add or subtract to a bartender’s time based on their judgement of the quality and accuracy of the cocktail. So, these ladies need speed and precision. Round after round the competition thinned from eight to two. It finally came down to Kelly Unda (Harvest) and Sabrina Kershaw (Citizen/Noir). It was close, but in the end Sabrina was victorious. 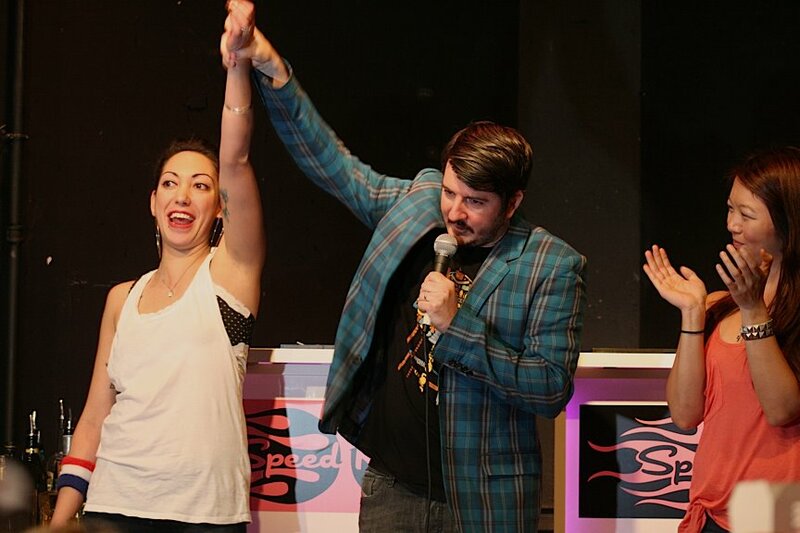 She’ll have a chance to compete against winners of other city’s events (look out Portland, LA, DC, Vegas, San Francisco, Houston, Denver and Chicago) for the title Miss Speed Rack. Thanks to the ladies of LUPEC Boston and LUPEC NY for creating a great event to raise money for a very good cause that has touched the lives of way too many of us. 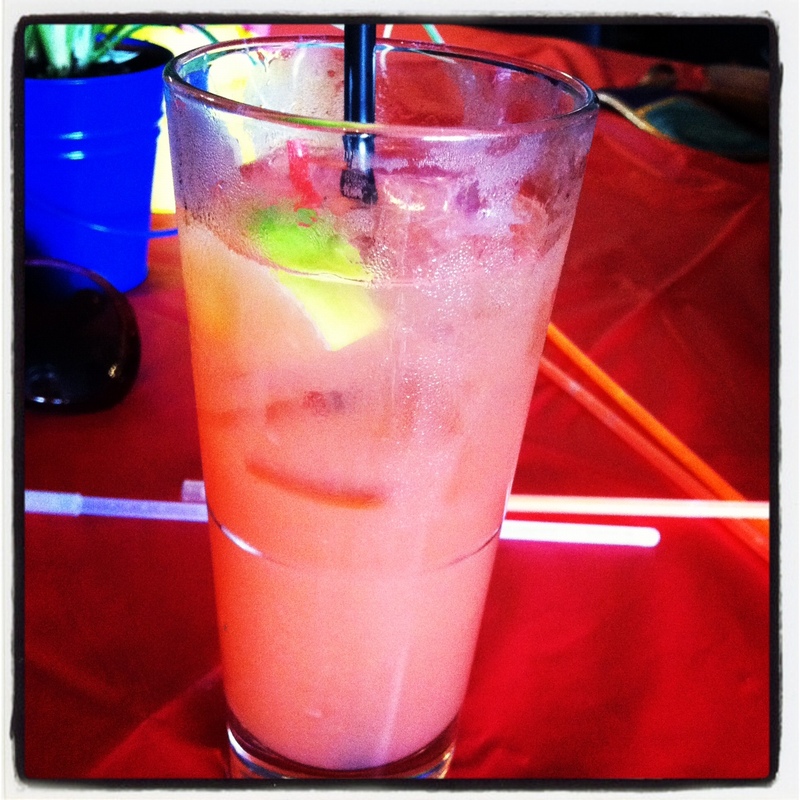 To making strides towards a cure– Cheers! I have found a new favorite place in Boston—the comfy, cozy leather bench-seat at the end of the bar at The Citizen. Just a 10 minute walk from my office, for two weeks in a row I have retreated to The Citizen with friends to relax from the stress of work. And that fabulous seat at the end of the bar has awaited and welcomed me with open arms—is it possible to fall in love with a chair? As a short woman who has issues with bar stools, this is a perfect perch for me—no chance of falling off this thing (yes, I did fall off a bar stool once and no, I was not drunk when it happened), it is pretty comfortable, and I get a great view of the entire bar from this end. But a bar is of course about more than seating. John satisfied my request for something bitter and rich (it was quite a damp day here in Boston today, so I wanted something with intense flavors) with a cocktail called Johan goes to Mexico (a creation by Drink bartender Josey Packard). Paying homage to Dr. Johan Siegert, the 19th century doctor who created Angostura bitters, this drink includes a half ounce of Angostura (yum!) alongside Mezcal Vida (hello, Mexico! ), lemon juice and demerara syrup. Wow, what a fabulous drink! And then I took the leap and joined The Citizen’s Whiskey Club. The concept is simple: explore the wonders and variety of whiskey by trying about 100 options on the bar’s list. And when you’ve made your way through the list, you get a special single barrel Four Roses bourbon and an engraved glass to use on each visit. Its important to have goals, right? I started off with Black Maple Hill. Made in Bardston, Kentucky, this small batch bourbon is aged for an average of 8 years in oak casks. The result is a butterscotchy sweetnesss which makes this go down pretty easy. If in the months to come you are looking for me, check the leather bench-seat at The Citizen and most likely I’ll have a whiskey in hand–I do have about 90 more to try. Cheers!